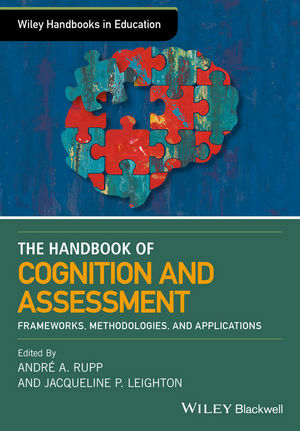 This state-of-the-art resource brings together the most innovative scholars and thinkers in the field of testing to capture the changing conceptual, methodological, and applied landscape of cognitively-grounded educational assessments. André A. Rupp is Research Director at Educational Testing Service (ETS) in Princeton, NJ, where he works with teams that conduct comprehensive evaluation work for mature and emerging automated scoring systems. His research has focused on applications of principled assessment design frameworks in innovative assessment contexts as well as translating the statistical complexities of diagnostic measurement models into practical guidelines for applied specialists. Through dissemination and professional development efforts he is deeply dedicated to helping interdisciplinary teams navigate the complicated trade-offs between scientific, educational, political, and financial drivers of decision-making in order to help shape best methodological practices for evidentiary reasoning for complex assessment design and deployment lifecycles. He is co-author of Diagnostic Measurement: Theory, Methods, and Applications (2010). Jacqueline P. Leighton is Professor and Chair of Educational Psychology at the University of Alberta, Canada. She is past Director of the University of Alberta's Centre for Research in Applied Measurement and Evaluation (CRAME). As a registered psychologist with the College of Alberta Psychologists, her research is focused on measuring the cognitive and socio-emotional processes underlying learning and assessment outcomes, including cognitive diagnostic assessment and feedback delivery and uptake. She has published in a variety of educational measurement journals and is past editor of Educational Measurement: Issues and Practice. She is co-author of The Learning Sciences in Educational Assessment (2011) and Cognitive Diagnostic Assessment for Education: Theory and Applications (2007) and co-editor of The Nature of Reasoning (2004).